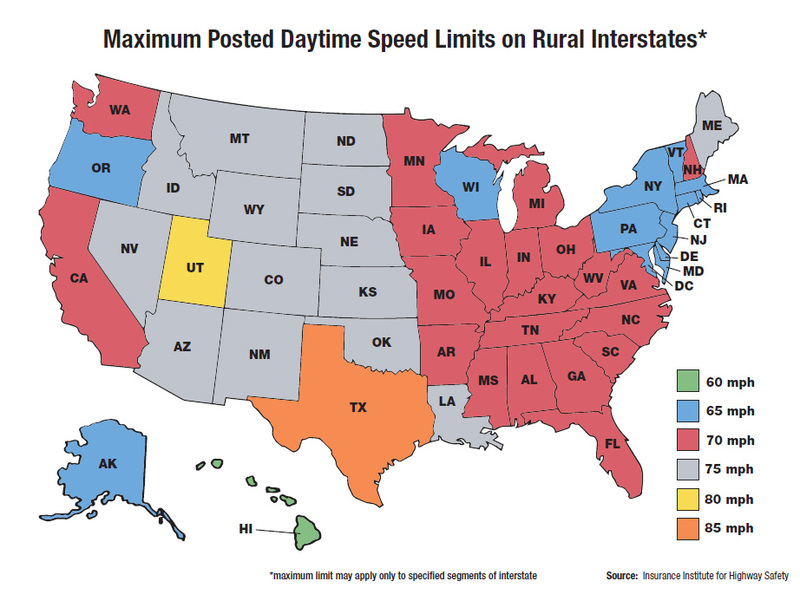 Maximum speed limits by state. Drivers on Wisconsin’s interstate highway system could soon be able to travel faster, under a bill being introduced at the state Capitol this week. The legislation from state Representative Paul Tittl (R-Manitowoc) would raise the maximum speed limit on Wisconsin highways by five miles an hour, going from 65 to 70 mph. 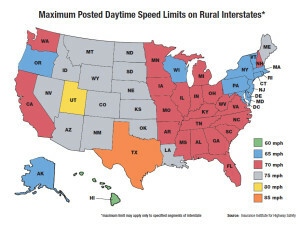 Wisconsin is the only state in the Midwest to still cap speed limits at 65, after Illinois Governor Pat Quinn signed a bill Monday that upped the limit rural interstates to 70. With Illinois, 37 states now allow speed limits of 70 miles per hour or more. Tittl worries that could create problems for attracting tourists to travel through the state, arguing many drivers will not want to slow down to pass through Wisconsin. Federal highway studies have indicated driving faster will increase the risk of fatal accidents and injuries. However, Tittl says many drivers are already going faster than the current speed limit, so he does not believe the change would jeopardize safety on Wisconsin roads. While Tittl is confident the bill will earn bipartisan support in the Legislature, the Governor and state Department of Transportation have not said whether or not they support the proposal.